During the summer months, campus is buzzing with new freshman and their parents. Orientation welcomes Ohio State’s newest Buckeyes to explore its Main campus, learn about all of the opportunities the University offers and instill their Buckeye Pride spirit! Families attending orientation are welcome to stop by The Club to learn all about our historic tradition and why being a member of the OSU Faculty Club is so great. We highly value these opportunities to introduce parents and their students to the exciting benefits of becoming a member. Parents love the vast array of opportunity The Club offers to their families both on and off campus and we love seeing their faces light up when we mention our Buckeye home football pre and post game tailgates and reciprocity with the OSU Golf Club. Exclusive access to formal wine dinners, holiday brunches, patio parties, 10 for 10 wine tastings, dinner and theater nights, Bar 181 at Colleagues dinner service, and special happy hour events are just a preview of what The Club has to offer. While all of these opportunities are offered to parents while they are in Columbus, OH and around the campus area, membership to the Faculty Club also offers reciprocal privileges to nearly 100 private clubs around the country. Parents enjoy the fact that their membership benefits can follow them wherever they go. Students of parent members also benefit from the membership by having access to our two lunch service options Monday-Friday, a quiet study space and maybe even their first job as a server or office associate! So if you are a parent of a new Ohio State student be sure to stop by The Club while taking the long stroll across the Oval. Our doors are open and we are excited to welcome you as part of the Faculty Club! Our Membership Director, Sara Tennyson, is looking forward to meeting all of our new parent members and being a part of their fun-filled Buckeye experience. Read below to learn a little about Sara and how she shows her Scarlet & Gray Pride! Originally from Zanesville, Sara Tennyson is a graduate of The Ohio State University with a Bachelors of Science in Hospitality Management. After college, Sara moved to Charleston, SC, where she acted as a catering manager at both The Citadel and Vendue Inn. 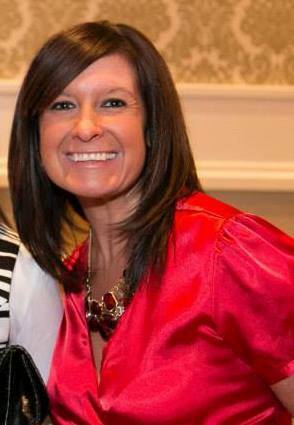 Sara is a die-hard Buckeye and was an active member of The Ohio State University Lowcountry Alumni Chapter and served as Club Secretary for 2 years. Since returning home to the Buckeye State Sara has been part of the Faculty Club team for 3 years in both catering and membership. Sara enjoys time with her family & friends, sports (Go Bucks! ), the outdoors, trying new restaurants/ cuisine & traveling. Sara encourages the campus community to stop by the catering and membership office to say hello. Next Next post: Perfect Time for a Patio Party!